We are pretty much tickled pink to share our latest edition to the SquareHook Platform! We have added a sweet Quick Help that walks you through basic additions to your site–editing pages, setting up your store, and finally, going LIVE!Â It is located at the top middle of the SquareHook editor. Learn how to walk through steps that you may not have thought of, and have pictures that illustrate just how you can make those changes. Â In some of our previous posts, we have shared some our latest videos! These Help Videos that walk through certain website topics!Â Learn more about: SquareHook Tool Overview Altering your Navigation Adjusting SEO Adding and Moving Squares Incorporating a Blog MORE to come! 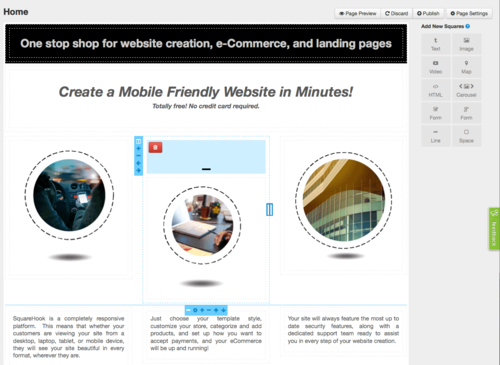 Check them out for some extra help when building and editing your site! Of course, our team here at SquareHook is always ready to help you work on your website. We make changing your navigation EASY!Â Because our drag and drop tool is so intuitive, you can completely transform your website menu with a just a couple mouse clicks. Â View our How-To HERE MOVING MENU ITEMS AROUND In the Editor tool, your website menu is below the NAVIGATION PAGES. Just select a page you would like to move, and drag it to the area you want to place it. 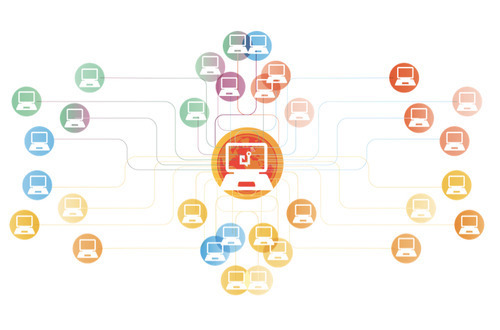 With the growth of CMS options, you can create your own website easier than ever before. Â And we’d like to pride ourselves by saying our recent Drag and Drop editor additions have made it even easier to create your own responsive website. Do you even know what drag and drop means? Here’s a quick synopsis! We have added columns and rows to our editor to make it even easier to create a look and feel in our Twitter Bootstrap grid system for you to easily place your imagery and content. Jason, from Boom! Power Rush came to us with a request-build an eCommerce website for sell 1 product-Boom Power Rush powder, but in 5 different flavors. Â We knew our LOVE Theme was great-simple, featured a sharp looking store, and super clean. 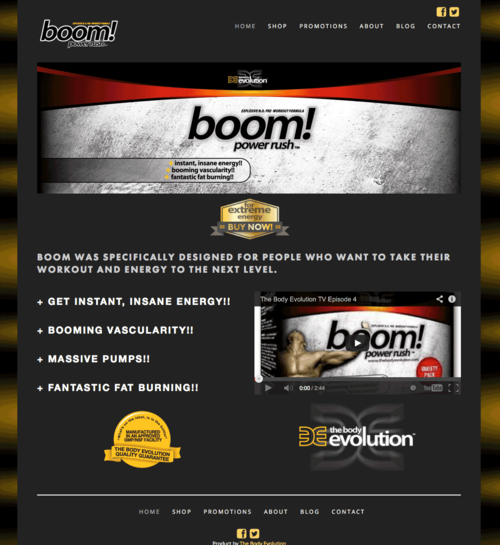 It was easy to put in their logo and coloring to fit their product offering!Â BOOM! really wanted to get to the point, so there wasn’t too much content put in, other than a little bit about the product itself. Get Paid for Doing What You Already Do-Building Websites! Do you want to earn extra cash building mobile friendly websites for your clients?Â SquareHook pays you when you build on our tool!Â Contact our sales team to get started!Â Contact sales@squarehook. com or contact us directly! Build a website for your customer, using our SquareHook Tool and get paid twice!Â Once by your client, and weâ€™ll give you money (starting at $150 flat)Â It’s easy!Â Start building now!. 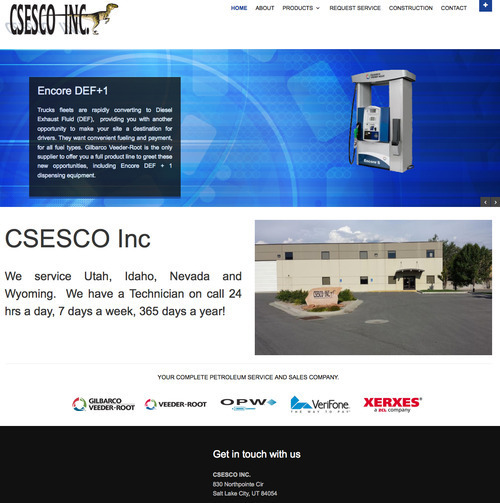 CSESCO didn’t have a website when they came to us. Â Their needs were really basic. Â When we asked them what kind of look and feel they were going for, they were immediately drawn to our FLATTERN THEME. 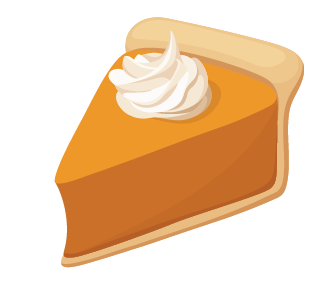 Who doesn’t love a well made dessert?Â The only thing we can think of that could beat something deliciously tasty, is building a store that is easy as pie, itself. 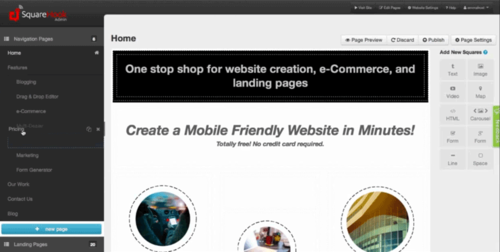 Our eCommerce tool is super easy and basic for anyone looking to build an online store. Just adjust your STORE SETTINGS, and you can add products, setup billing, process payments, offer coupon discounts for promotional deals, and much more! Easily add products to your store, by selecting the +Add Product button. For the Dealers and Franchises Out There, We Can Clone Your Site! If you have a business, and need a number of sites for distributors, franchises, or dealers, we are here to help!Â We understand that different locations may have alternative promotions, sell different products, etc. 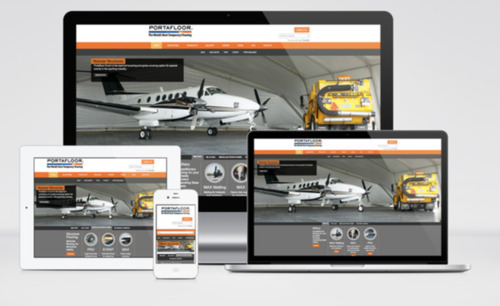 Â We have the ability to clone a website, where you can customize any ol’ site to make it specific for that location, while keeping the look and feel similar to the parent company!Â To find out a bit more about what we can do for you, check out our multi-dealer page. Â If you’re looking to multiply your site, and are looking for direction or assistance in making that happen-contact us!. Portafloor had a pretty nice website before we began their conversion. Â There were just a few things that they definitely wanted to change- edibility and their MOBILE FRIENDLY FUNCTIONALITY was definitely one of them! People shouldn’t have to lose the experience because they’re on a different device. Â With Portafloor site visitors, they won’t.